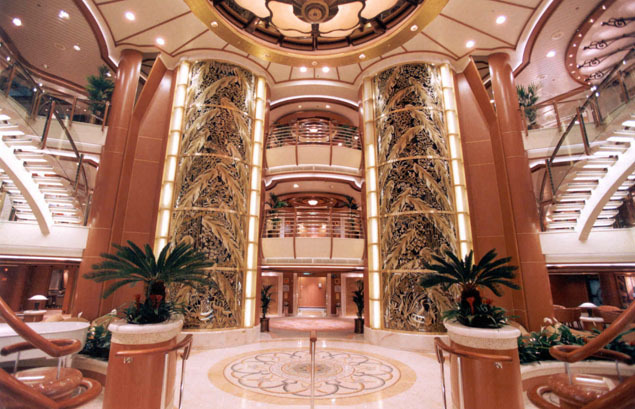 The Golden Princess is a stylish ship that travels to all of your favorite locations! With the famous Princess service, amazing cuisine, and so many other amenities that it would take an entire day just to list, this ship is the perfect vacation spot! 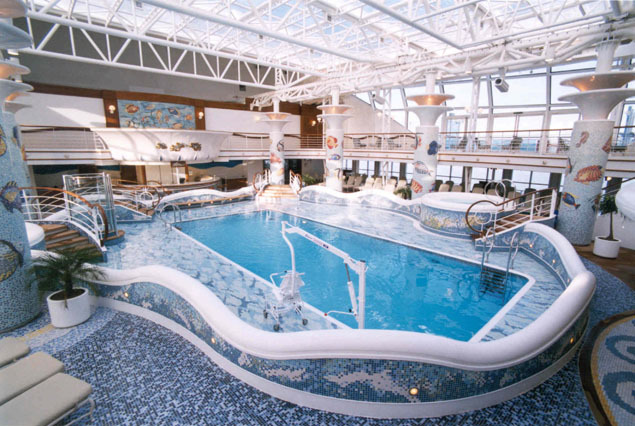 Check out the piazza-style atrium, the adults-only Sanctuary, the pools, and everything else on this amazing ship - and you'll know you're in for a treat from the moment you set foot on the deck! The Golden Princess is like a bustling city - so much to see, so much to do! The Calypso Reef Pool has two hot tubs for you to enjoy, as does Neptune's Reef and pool! There's also the Terrace Pool, the Oasis bar and hot tubs, and there's even a pool in the adults-only Sanctuary! You can just float around, dip your toe in, or make a splash! 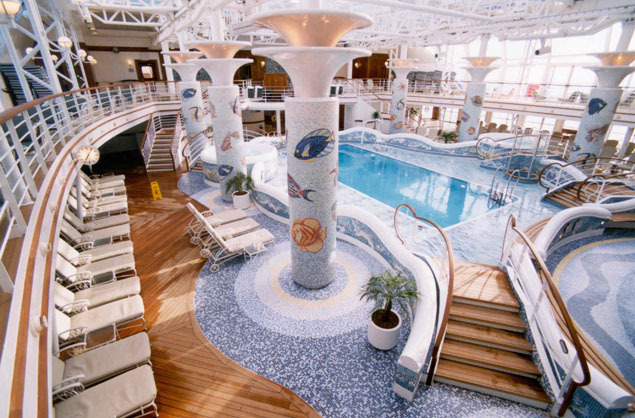 The ship has an amazing gym and fitness area that features a swim-against-the-current lap pool, a nine-hole Princess Links putting course, and the Lotus Spa®. Pamper yourself at the spa, or go play shuffleboard, basketball or volleyball on the Center Court! The ship even has virtual golf simulators so you can practice your swing! If you'd like to do a little shopping in between your tanning and swimming, head over to the designer boutiques - everything is duty-free, and you can get great gifts and mementos from your trip! The ship also boasts an art gallery where they auction off art, a wedding chapel, a library, 24-hour wireless-access Internet, and the ScholarShip@Sea® enrichment program! For the kids, there's the special kids and teens program that has lots of age-appropriate activities for all of them! 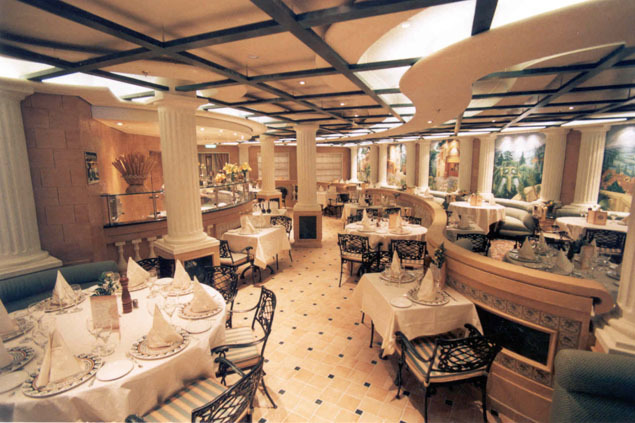 Pair impeccable service with gourmet chefs and the most luxurious dining atmosphere, and you'll be able to appreciate the caliber of the dining on the Golden Princess! Traditional dining options are served at the same time each day in the Canaletto Dining Room. If you'd rather eat at your whim, the Anytime Dining options are served at the Donatello Dining Room, and at the Bernini Dining Room. 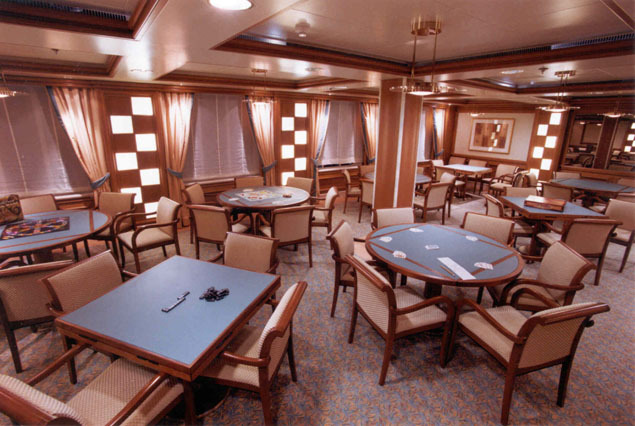 The ship also features a Crown Grill, serving surf&turf steak and seafood, and a Sabatini's for your favorite Italian cuisine! If you want a snack or something a little different, check out all the casual dining options! The Trident Grill serves burgers and hot dogs, and Vines serves wine and seafood. There's a Sundaes ice cream bar, a Prego Pizzeria, the Horizon Court and Bistro, and even a 24-hour International Café! Get your afternoon tea, too! Finally, the ship has 24-hour room service, so you can get your favorite items from the menu served to you right in the comfort of your stateroom! Get ready for a night of amazing theatrical productions, lounge acts, movies and more â€“ the Golden Princess has three theater venues, all with great acoustics and stellar acts! The Vista Show Lounge is a great place to enjoy a show, as is the Explorerâ€™s Lounge! Check out the Movies Under the StarsÂ® poolside movie theater, or head over to the Atlantis Casino for your favorite poker, roulette and slots! Do the moonwalk in the Skywalkers Nightclub, a great club with amazing music located 15 decks above the ocean! If youâ€™re in the mood for something a little more cozy, head to one of the bars and lounges and enjoy a cocktail! 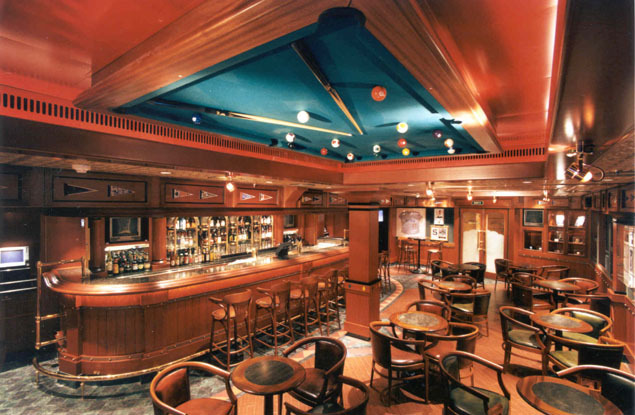 Thereâ€™s the Wheelhouse Bar, the Promenade Lounge and Bar, and Playerâ€™s Cigar Bar (where you can enjoy a great cigar and even better company! ).